After years spent hidden in the shadows of Millennials, Generation Z is taking over the spotlight and making some serious waves in the process. Gen Zs are the first true digital natives, born between the late 1990’s to the mid 2000’s, and only know a world with Internet access, social media and smartphones. This “YouTube generation” is tech-savvy and pragmatic, drives innovation and the way we consume media, and they’re pushing brands and marketers to catch up in the process. In an era of massive information (and advertising) overload, the brand-consumer relationship is a delicate dance. One misstep and a disgruntled customer will gladly find a new partner. Thanks to a mobile-first, visually rich, social and digital world, people expect flexibility, authenticity and consistency in every single interaction with a brand. 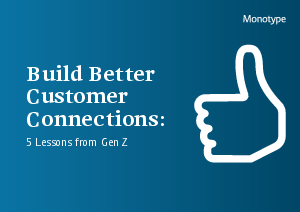 In order to keep your customers engaged and happy, look to the emerging behaviours and preferences of Generation Z as a beacon for what’s to come.